Steven Ketcher wrestled in the AWA and the WWE as an enhancement wrestler to put other wrestlers over. He won numerous belts while wrestling in Arizona. 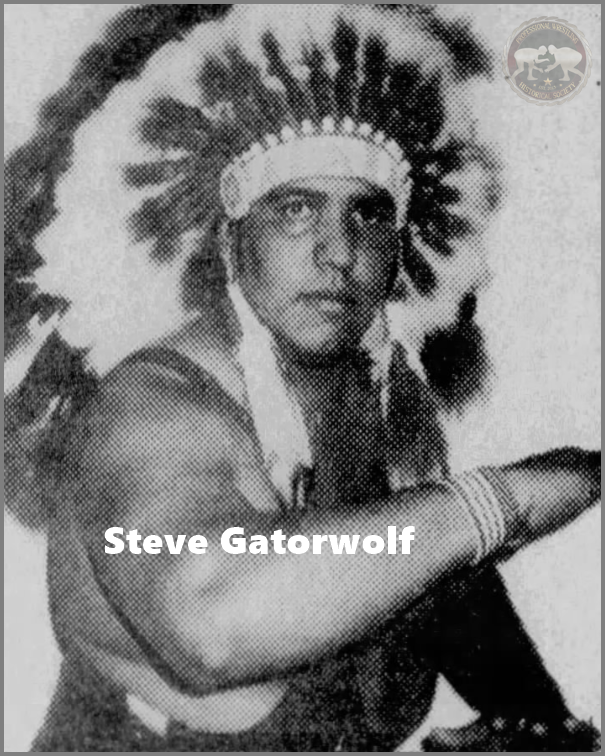 Bret Hart tells the story that the WWE had big plans for Gatorwolf to be an Indian star with action figures and a large marketing plan. At his first televised match, Chief Jay Strongbow stressed continually the points of the match and especially to end with a great war dance after his victory. He struggled through the match with a weak non-Wahooish Indian chop and the evidence of limited experience as a high-profile wrestler. To make things worse, he came back to the locker room after forgetting to do his victory dance. His opportunity for stardom and action figures in the WWE had come to an end; SO CLOSE BUT SO FAR. He wrestled there from 1984-1990. Afterwards, he promoted wrestling cards on Indian reservations and even was arrested for having illegal “Toughman” contests. He helped get John Cena into the business from when Cena wrestled in Arizona. Sadly he had the reputation of many promoters; he did not pay wrestlers, or only a percentage of the promised wages, or even cancel shows without telling the wrestlers as a means to keep from paying them. Ketcher was arrested May 8, 2014 for sexual charges against a minor. There was an unusual ending to his first appearance before a judge CONCERNING THIS CASE; he told Judge Collins, “I’m proud of you Judge.” The judge and Gatorwolf had gone to elementary school together; what a small world we live in.